Stand-up comic and podcaster extraordinaire interviews alternative rockstar Marilyn Manson, who has been recently promoting his new album Heaven Upside Down (2017). Manson opens up about his life, father, career, and shares several interesting anecdotes about working with David Lynch, Trent Reznor, and meeting the iconic David Bowie. 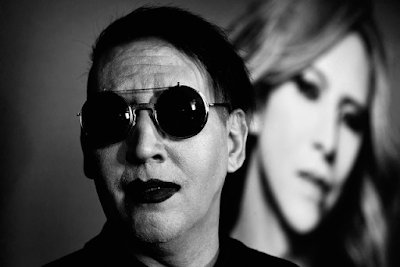 Listen to the full WTF Podcast with Marilyn Manson in the clip below. Whether you love him and his music, or not, Marilyn Manson has been one of biggest counterculture alternate rockstars of the 1990's. A self-affirmed Shock Rocker, Marilyn has always looked to push boundaries, whether moral, societal, or religious. From his experiences in rebelling against his upbringing in the Midwest and Deep South. 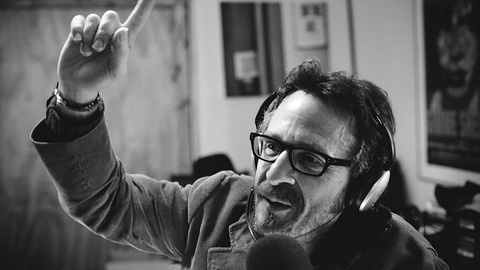 Many of you might recognize Marc Maron from his incredible performance as the Female Wrestling Managar from Netflix's surprise hit series GLOW (2017-Present), but he has been a long-time stand-up comic and megastar podcaster for many years now. Noted for his down-to-earth, honest comedic style and tone, he is a natural interlocutor and he helps set at ease his interviewees and cull excellent personal stories from them. 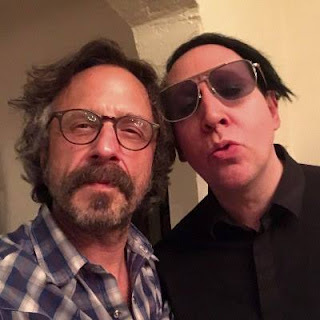 And Maron is no different with Marilyn Manson, who explores a lot about his childhood and his relationship with his father, but as well discusses different highlights of his career. He had a particularly touching recollection of his time touring with Alice Cooper. And Marilyn and Marc's discussion of working with David Lynch and Trent Reznor is fascinating and funny, all at once. 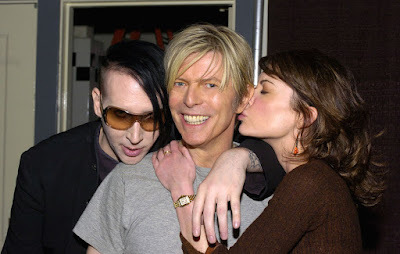 And Marilyn's tale of meeting with his hero David Bowie is equally unforgettable. Check it out and listen to the full interview in the video clip above.